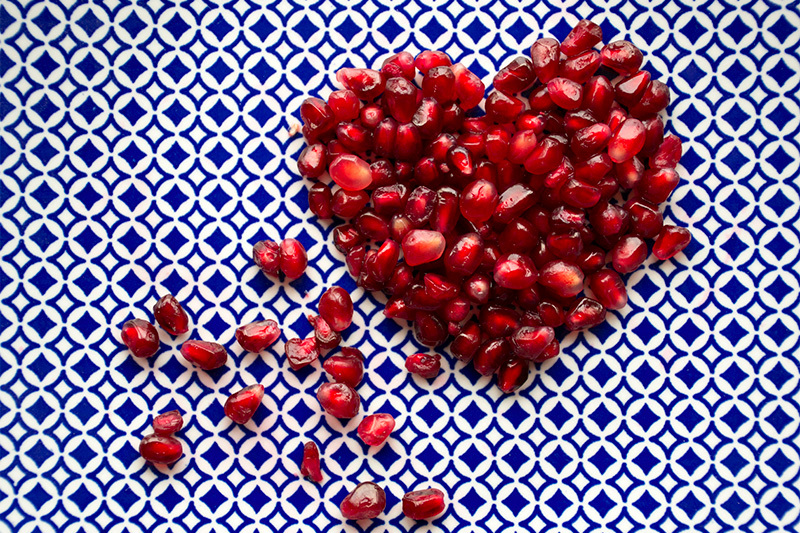 Valentine’s Day is coming and we all think of nice and romantic things to do. For this special occasion I put together a list with my romantic tips! The goal is to feel more connected with your lover and bring you closer to each other! What is better than a holiday to bring the rush of romance back into our lives! Make time to plan at least one vacation a year. It will create new memories and make your lives more exciting. 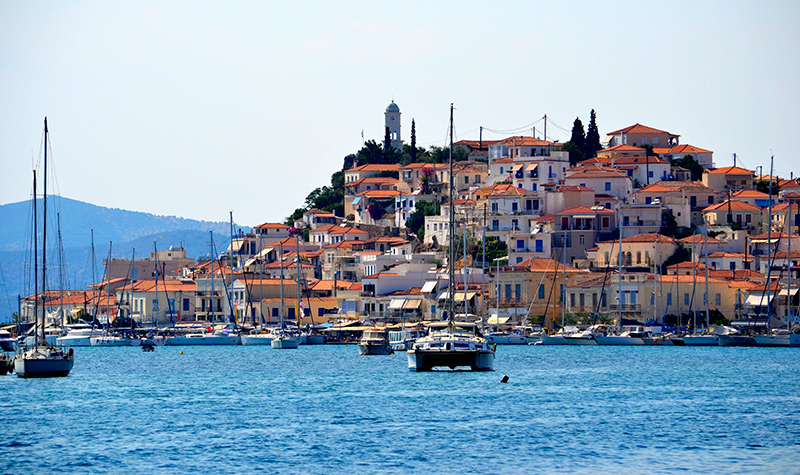 Poros is the perfect romantic island to visit with your lover. 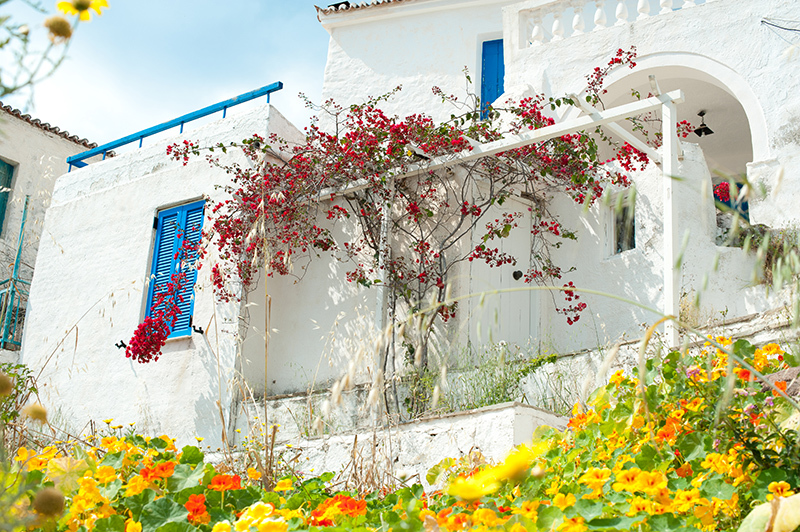 Especially in low season you enjoy the peace and feel the romance in the air! We love to plan a candlelight dinner for you in our cozy Odyssey Bistro. After all, candlelight dinners are one of the most romantic ways to show your love to your partner. The warm glow of candles makes everything feel warm and friendly. The soft lights will make both of you look sexier and you will feel more in love! I look much sexier in the candlelight, the less light the better :-). After dinner take a stroll to the sea and fall in love all over again. 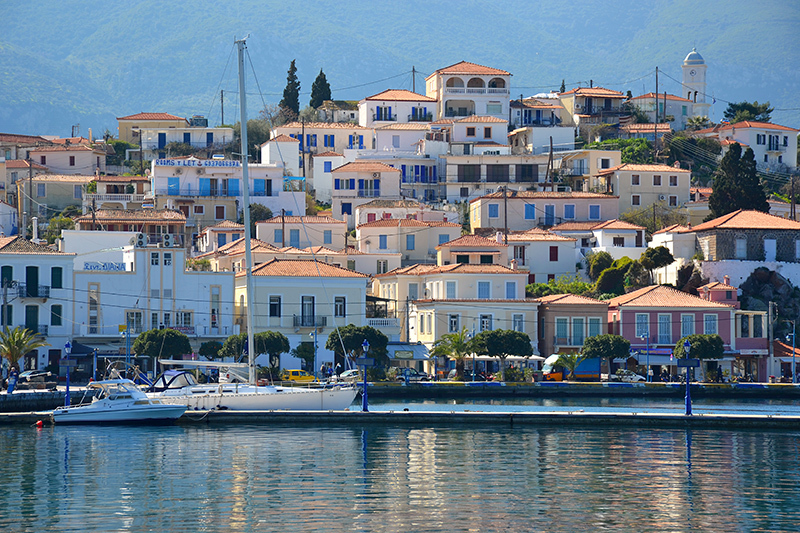 There are a lot of romantic things to do on Poros, but one of the most romantic is to go aboard one of the local sailing boats for an unforgettable trip around the island. Take a deep breath, relax and feel the wind in your hair. See the sky as a big canvas drawn with all the amazing colors of the most beautiful sunset of all!! Sip on champagne while you have a quiet, intimate conversation with your loved one as you drift by. Somebody once said: “Everything wonderful in your life is nothing but a collection of memories”. If that is true, then what is a better way to keep the memories close to your heart than by gifting the special person in your life a collection of photos of both of you together? You can imagine yourself in the future at your house, looking together at the pictures you made during your romantic holiday at Odyssey. Your partner will look into the book that you made and remember not only all the special moments you shared on Poros, but as well all the effort you took in creating something so valuable. 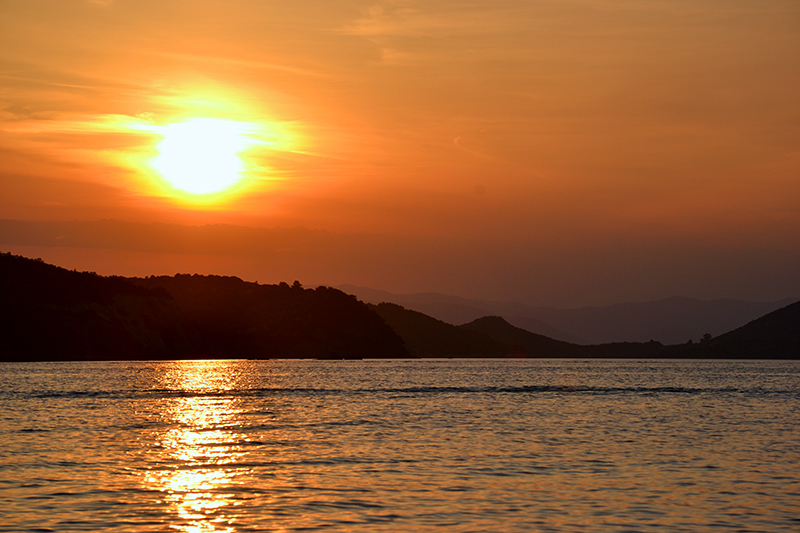 Have an exciting midnight swim in the Aegean Sea like lots of Greeks do during the warm summer nights! There is nothing nicer than feeling the water of the most romantic sea surrounding you while watching the stars falling from the sky, nothing more romantic than swimming with your sweetheart in the great blue sea. 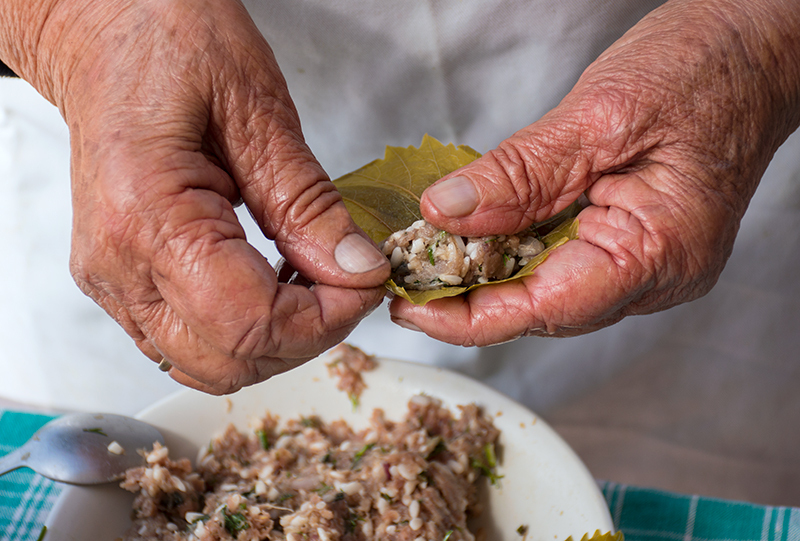 Cooking together always seems like a fun thing to do as a couple. You don’t have to plan anything; you don’t have to think of what to do. 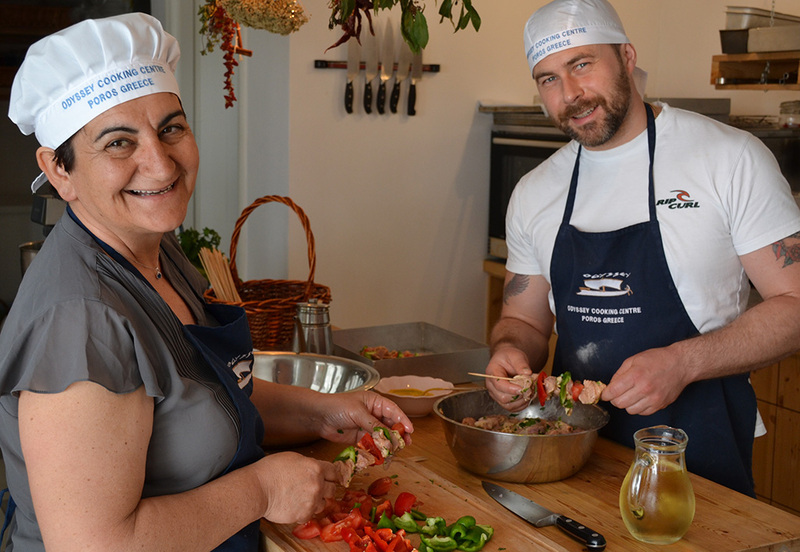 Just come and cook with us in our beautiful cooking studio and spend an afternoon making Greek dishes together at a leisurely pace. 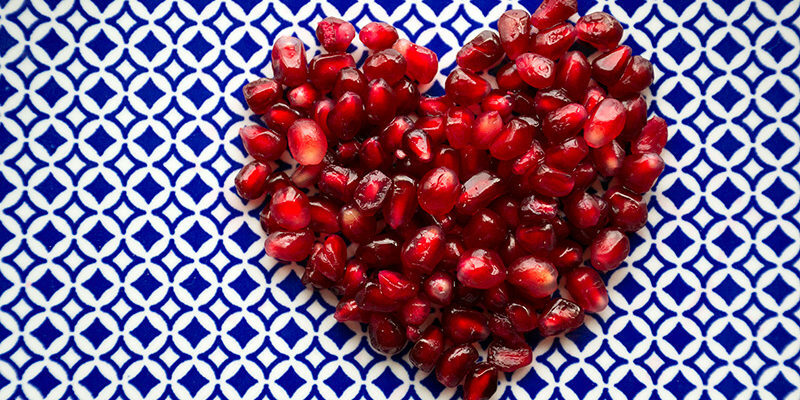 A nice bottle of Greek wine will help to connect with your lover. Is there anything better than breakfast in bed? 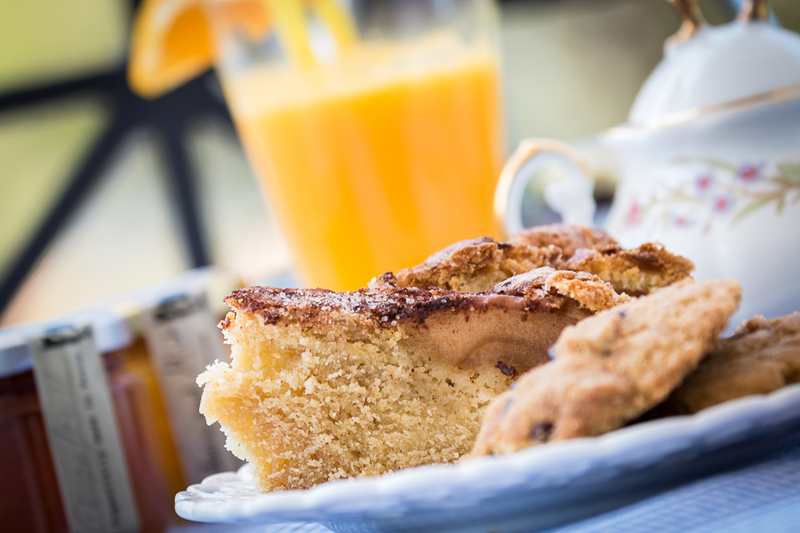 Let us take care of you and bring you breakfast in bed during your stay on Poros, we would love it!! Just imagine a tray with freshly squeezed orange juice and home made warm cookies and bread that make the room smell like paradise. 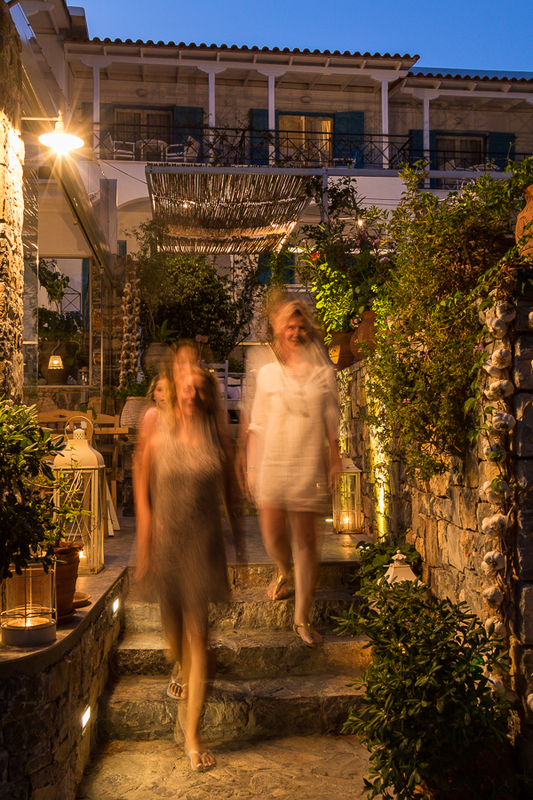 Come to Poros to enjoy one of the last open air cinemas! 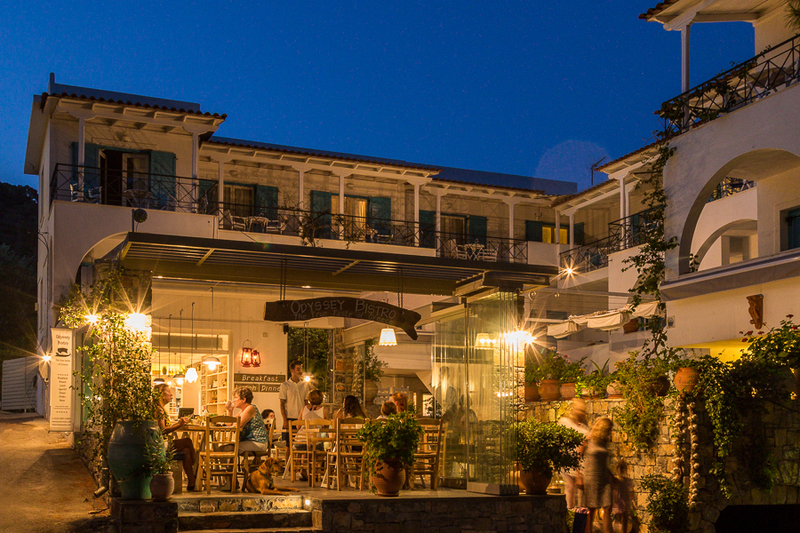 On a rooftop in Poros-town you watch a romantic movie with your lover, while next to the big screen you see the sky full of stars above the beautiful houses on the hills. Sometimes, even a full moon is secretly watching with you! (You can see cinema Diana in the picture below on the left side). 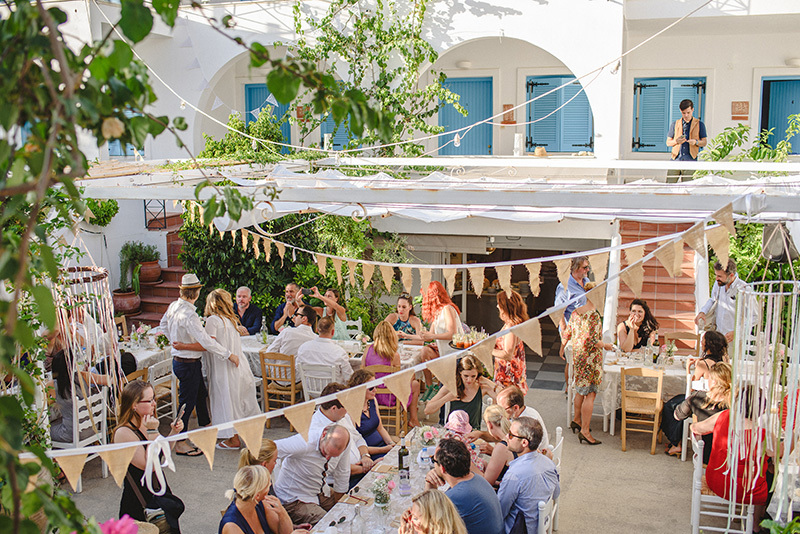 Did you ever experience the vibe and fun Greeks are having at their party’s? You might think that it is crazy and the Greeks don’t know what they are doing. The truth is that after a little while you will join in and you will love the energy and the fun our parties have to offer! You will be surprised at how romantic it is! 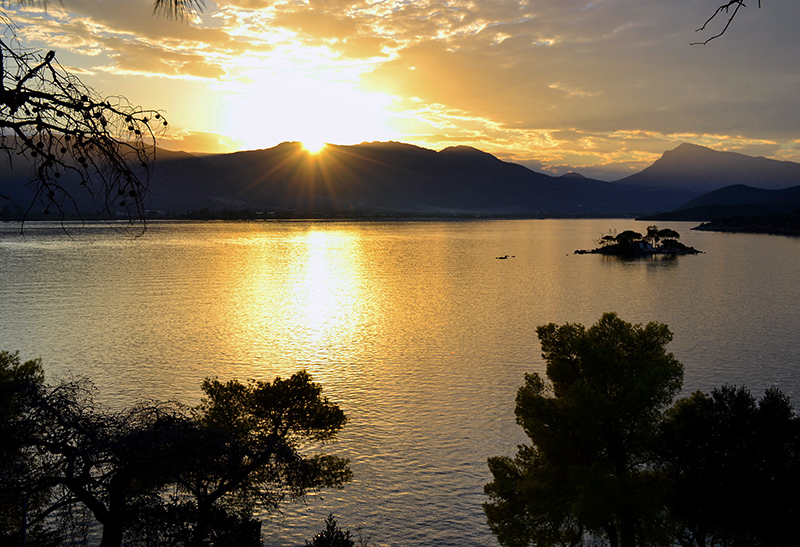 The ultimate romantic experience is to get married on Poros! 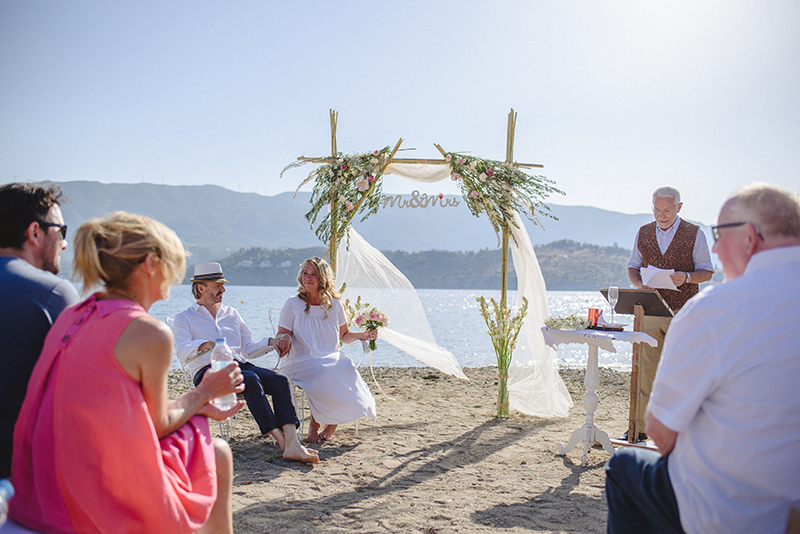 Just imagine saying your vows on the beach or at our olive farm next to the sea. 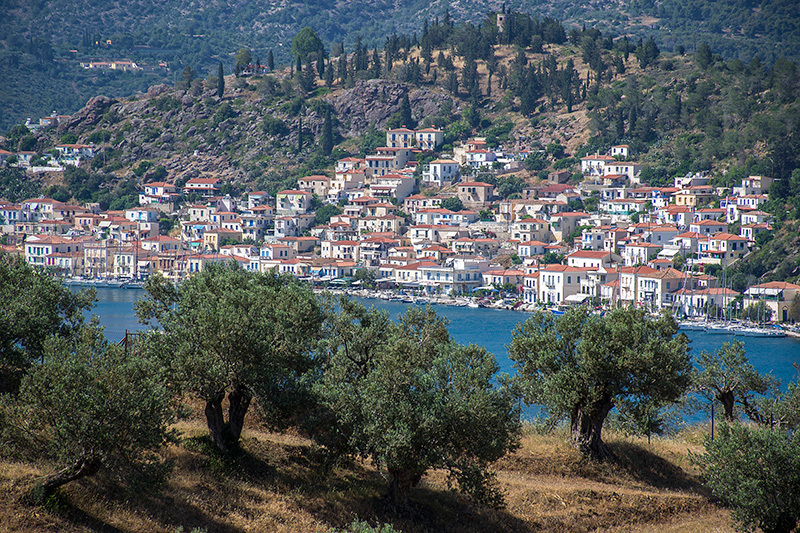 Taking a boat trip to the wedding location along Poros-town and the pine forest mountains. We at Odyssey love to create your dream wedding and promise you an unforgettable celebration! Like I said before, our lives are nothing but a collection of memories. So go on out there and create a lot more of them with your lover. Participate in an activity that both of you haven’t done yet. Every new memory you create together will be another exciting leaf to add into your book of romance. Bekijk het profiel van Odyssey Activities op Pinterest. © 2019 Katerina's Kouzina. All Rights Reserved.